Amp up your glow with this exclusive statement highlighter. An iridescent trio of lustrous rainbow like color brightens skin for dialed up highlighting and strobing. The collection also includes a slanted bristle power brush that retails for $60. 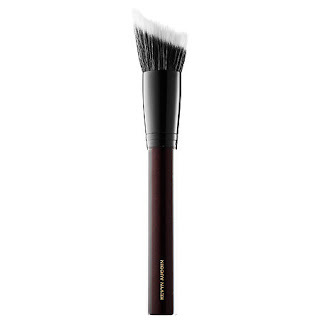 Highlight, bronze or set makeup in a single stroke with this innovative, dual-fiber brush. The soft top layer gently and evenly distributes powder for sheer coverage, while the dense bottom layer picks up more product and allows for more intense payoff.